Virtually all GMAT Reading Comprehension questions fall into these 6 categories: main idea, detail, inference, out of context, logical structure, and author’s tone. Familiarizing yourself with each type of reading comprehension prompt will allow you to think more like the test-writers and root out common traps. Of all the reading comprehension (RC) types, “main idea” questions are the most common. You can expect the GMAT to ask this question about almost every passage within the RC section. Identifying the main idea is the quintessential RC skill, so expect to practice it over and over again. It will help to read at a relaxed pace (2.5 minutes for a short RC passage, 3.5 for a long passage). It will help to practice taking notes. 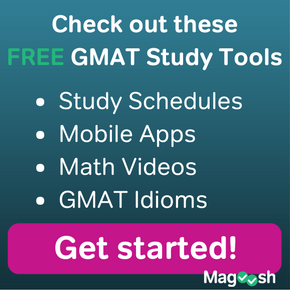 It will also help to practice repeatedly from reputable sources, like the Official GMAT Guide or the RC sections of the LSAT guides. As you study, always check the official answers each time and read the explanation, regardless of whether you got the question right or wrong. Doing this will allow you to think more like the test-writers. By practicing diligently, you’ll begin to notice how to weed out trap answers and how to select the best answer from the available options. These are related to the first question type. The main idea is what informs the entire passage, or what drives the whole passage. So any detail mentioned has to support the main idea in some way. To answer a detail question, you need to first know the main idea. From there, you probably will need to go back and re-read some particular sentences to see how the specific details fit into the main idea. Good authors are not explicit about everything: while they say some things directly, they imply others. Inference questions test your ability to read between the lines and figure out what the author is indirectly implying. On the GMAT, be careful to stay hyper-faithful to the passage. Any correct implication is something that was not explicitly stated but must be true. In other words, an inference must be a direct logical consequence of what was written. For example, if the passage reads, “Ben has been to every country in Europe at least once”, we cannot necessarily infer that “Ben enjoys traveling” — maybe Ben hates traveling, but he is required to travel for work! By contrast, an undeniable implication is: “Ben has been to Portugal at least once.” That’s the level of logical undeniability that you should seek in inference question answer choices. Alternatively, “out of context” questions may ask you to compare something in the passage to a hypothetical example from a completely different situation. “The compromised situation of the raccoon described in line X is most like …”, and then the correct answer could be something like “a ballerina with a broken foot.” In these questions, you are asked to abstract out all particulars, and focus on what is essential to the situation or relationship in its most rigid logical form. In both cases, however seemingly remote the focus of the question is, the correct answer should still resonate with the author’s main idea as demonstrated by the passage. Here, the main idea and paragraph summaries you formulate for your notes will be invaluable. Another huge help will be the “logical direction” words — “moreover”, “although”, “ironically”, “but”, etc. Always pay attention to these words as you read, notice the way they shape the paragraph, and you will start to develop an intuitive sense of the logical structure of the passages. 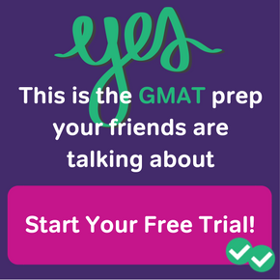 This is tricky, because unlike the extreme opinions typical of nutcases in the media, all the opinions and perspectives of GMAT authors will be moderated and nuanced. An author who judges something “promising” is wildly enthusiastic about it. An author who deems something “less than satisfactory” is completely slamming it. An author who finds something “troubling” is essentially pee-in-his-pants upset about it. If vivid emotions are bright colors, then GMAT passages don’t get any more colorful than pastels. Pay attention to any words that have any emotional charge: these are the ones that will allow you to figure out the author’s tone. It’s also important to remember: the tone in the passage will avoid extremes, so the correct answers to tone questions will avoid extremes as well. 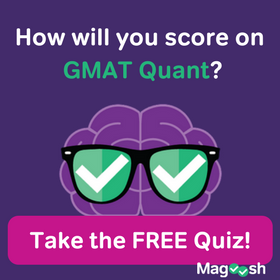 If the correct answer to a tone question is “skeptical”, wrong answers could include “dismissive” or “vengeful”—words that simply are two extreme for the tenor of GMAT RC. As you read, pay special attention to word choice. Subtlety is key for mastering this reading comprehension question type. 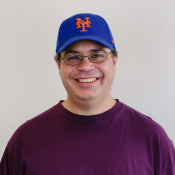 Editor’s Note: This post was originally published in July 2012 and has been updated for freshness, accuracy, and comprehensiveness. Thank you so much for the post. You are the coolest GMAT tutor around.